I was creating a NuGet that was dependent on several other NuGets, one of them being Microsoft.Net.Http. This brings in the great HttpClient for all platforms. However, there is a small problem right now: Microsoft has not yet updated their NuGet to support Xamarin.iOS Unified. They are working on it, but in the meantime what can we do to still create a NuGet that relies on HttpClient? Well, we don’t actually need the Microsoft.Net.Http NuGet on the Xamarin platforms as the HttpClient type comes with the actual framework. This is because the Xamarin platforms target the 4.5 version of .NET. This works, as NuGet will use the more specific for Xamarin.iOS, but fall back to the empty for all other platforms. We can use this mechanism for all platforms. We can even use this for the various files as well. In fact, this is how Microsoft does it now: They include everything for all platforms, and then exclude the specific ones that already have HttpClient built in. When Microsoft updates their NuGet, all we need to do is drop the “ group from the .nuspec and everything is back to normal. We all know about Flurry Analytics, and we know how we can use this with Xamarin in iOS and Android, as well as on Windows Phone. Well, now there is a portable version that allows the analytics to be implemented in portable class libraries! The portable API abstracts away all the platform differences, but keeps all the power of the Flurry! This can be found on NuGet and on GitHub. The features of the portable API are the same as the native API’s, as the portable is more of an abstraction than anything else. So along with all the native features, there are a few nice new once that make the API easier to use. This is the primary advantage of this library, it allows the analytics to be implemented in portable projects. This is especially useful if you are using a cross-platform framework, such as MvvmCross. There is a sample that you can check out that makes use of all the features. Or, by using the IActivityLifecycleCallbacks for the Application. This way allows you to start and end the session without having to implement the logic in each Activity. However it is only available from API Level 14 / Android 4.0 / Ice Cream Sandwich. There are a few methods that hide the platform differences. Some examples of this are in the setting of user details, such as SetAppVersion, SetUserId, SetLocation, SetAge and SetGender. Not only that, there are a few methods that specify how Flurry should communicate, such as SetSessionContinueTimeout and EnableSecureTransport. Usually these methods should be called before starting the session. Along with tracking basic analytics, events and errors can be tracked. There are a few methods that support this: LogPageView, LogEvent, LogTimedEvent, EndTimedEvent and LogError. 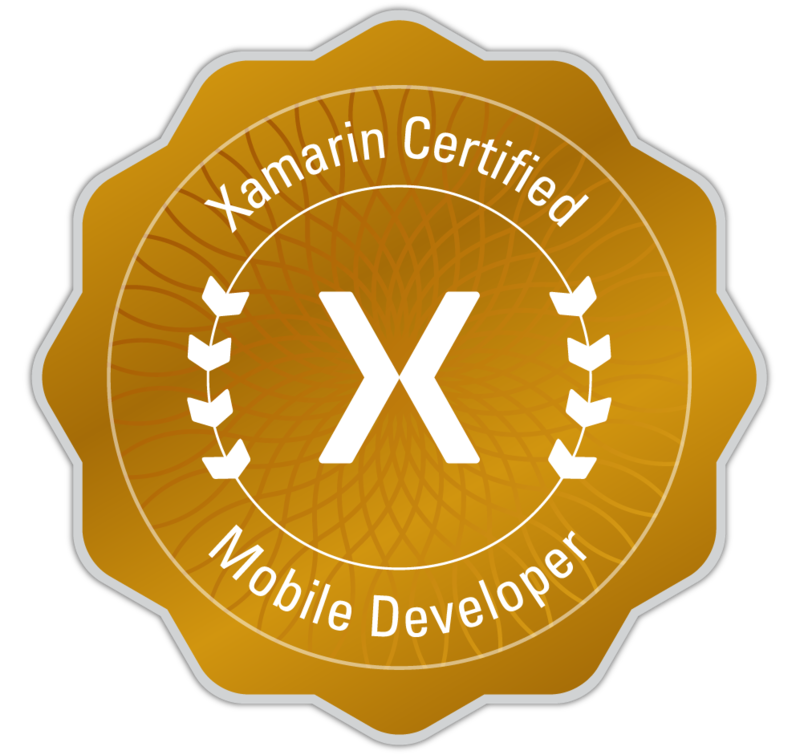 Over the last few days I have been creating a Xamarin.iOS and Xamarin.Android binding for Flurry Analytics SDKs. Flurry Analytics is a neat little library that allows for tracking of your app usage and various user stats. And, because I really enjoyed my time doing this, I thought that I will share just a bit of the fun times and the not-so-fun times. Before we start any coding, we need to get all our tools and files needed for the actual binding tasks. I was using both Windows 8, with Visual Studio, and Mac OS X with Xamarin Studio. You can bind the Android library on either platform, but for iOS, it is easier to use the Mac. In this case, I will use the Mac for both iOS and Android. But, along with this info, there are just a few things that you may need. Firstly, it is good to update your Xamarin Studio to the latest stable release as this makes sure that all potential problems are minimized from the start. Then, the next cool tool to get hold of is, Objective Sharpie, for binding iOS libraries. This tool is quite nifty for quickly generating the .NET interfaces from the Objective-C header files. It uses the header files not the actual compiled native library. The Xamarin docs on Objective Sharpie has a brief walkthrough on how to use the tool, so I will assume you know how to use it. After we have all our tools ready to go, we need those SDKs from Flurry. What I did was to create a free account by Flurry, and then created an Android and iOS Application using their dashboard. You have to have an application before they will let you download their SDKs. This step is pretty straight forward, so I won’t go into it here right now. Once you have created and downloaded the SDKs, you can extract them to a nice location for reference. But, as this is quite a long process, I will be splitting this article into this intro, the iOS binding and the Android binding. So, enjoy! Of course, the version numbers may change for later releases. The header file (.h) is going to be used to generate the .NET interfaces and enums. The library (.a) is going to be used in the project. Just before we do the cool things, we should just create our C# solution for the Xamarin.iOS binding. Just create a new project/solution and select the “iOS Binding Project” template. For my project name I used Flurry.Analytics.iOS, but you could use anything. This step will involve using Objective Sharpie to get us started, but we will almost always have to go in and tweak a few things. So, first things first, open Objective Sharpie and start the wizard. Select the Flurry.h header file, and I used the namespace Flurry.Analytics. After saving your file somewhere, we can start the tweaks. I don’t save the result into my solution as the amount of tweaks needed is high enough that I like to have a before and after file. Also, this library is very small. But, there is no reason why you couldn’t just save over the ApiDefinition.cs file in you project. In this snippet of Objective-C goodness, there is an enum named FlurryLogLevel and an @interface named Flurry. This will translate into a C# enum and class respectively. It is also good to note that all the methods on this particular type will be static. As you can see, the generated file is similar, but not quite the same. This is quite a list here, but not all are bad. Objective Sharpie can’t generate perfect code as Objective-C is not C#, so there will always be human intervention. In these cases, it will generate what it thinks to be best and then let you know. The [Verify] attribute is one way that Objective Sharpie lets you know that it changed something. In this instance, it is letting us know that it changed the setAppVersion method into a property. This is because usually there is both a getter and a setter method for a Objective-C property. But in this case, it is actually a method. As you may note, these properties have a slightly different [Export] attribute in that these members don’t end in a colon. This is valid for Objective-C property setters, but as this is a method, we should add a colon back. It is also valid for methods that take parameters. So, to fix those properties, remove the [Verify] attribute. We should also fix the exported name, and for the setter property, add the colon back in. As you can see here, I corrected the SetAppVersion write-only property by transforming it into a void method that exports to setAppVersion:. Note the full name and colon as this method takes a parameter. Also, I needed to fix the GetFlurryAgentVersion read-only property by transforming it into a string method that exports to “getFlurryAgentVersion”. Note the lack of colon as this method takes no parameters. And finally, I decided I wanted my final class to be called FlurryAgent to avoid confusion with the namespace as well as indicate that it was the Agent. In order to do this, All I needed to do was to rename the type and add the Name property in the attribute with a value of "Flurry". The reason for adding this property is, after changing the type name, the binding no longer will be able to find the underlying Objective-C type. Usually the binding will use the default name if none is provided, the C# class name. After changing it, it no longer reflected the Objective-C type name, hence the new property. The last thing to fix, in the generated code, is the enum. This is simple to do, just remove the strange attribute-like bit: [unmapped: unexposed: Elaborated]. One of the nice things of Objective Sharpie is that it removes the enum prefixes and just uses the relevant bits. For example the original item was FlurryLogLevelNone, but this is now just None. So far, all our generated code has been moved into either, ApiDefinitions.cs (the class), or StructsAndEnums.cs (the enum). We are still not complete yet, but we are nearly there. Once we have the basic binding done, we can always extend what the native library provided with extra features. This is done by adding new source files to the project. For example, if for some reason you need to add any extra bindings to the library, say to access a private member or even just to make the new API cleaner and more .NET-like. What is happening here is that I am adding a new method to the final .NET assembly. This method can make use of the methods in the API definition interface. In this particular example, I am adding a method that can take an Actionand make sure that we fire a ‘starting’ and then an ‘ending’ event to the Flurry servers. This is a new bit of functionality that can be baked right into the binding assembly. This step is actually quite easy, just add the native library (.a) to the project, and you are almost done. When you add the native library to the project, Xamarin Studio will create a new .linkwith.cs file that matches the library name. For example with Flurry, I added the libFlurry_5.2.0.a library to my project and it generated a libFlurry_5.2.0.linkwith.cs. This is the default line, split for readability, and usually it is all that is needed. What this does is say that the linker must use the libFlurry_5.2.0.a native library as well as this library can be used on the Simulator and all the devices. The ForceLoad is used by the Xamarin.iOS linker, and specifies a linker flag. According to the documentation, this should always be true for now. But just before we finish up, we need to add any required frameworks. Without this, there will be strange happenings…but different depending the configuration. If building for Debug, the app will launch, but nothing will happen at all. The methods can be called and everything, but no actions will take place. Error MT5211: Native linking failed, undefined Objective-C class: _OBJC_CLASS_\$_Flurry. If ‘_OBJC_CLASS_\$_Flurry’ is a protocol from a third-party binding, please check that it has the [Protocol] attribute in its api definition file, otherwise verify that all the necessary frameworks have been referenced and native libraries are properly linked in. This error is giving us lots of information for @protocol, but as we don’t have any in our project (recall the @interface), we can safely ignore the first part of the second message and focus on the ‘frameworks’ part. According to the Flurry documentation, the Security.framework is required and the SystemConfiguration.framework is optional, but recommended. As shown here, the frameworks are space-separated and do not have the .framework extensions. One thing to know is that the iOS binding project is actually not really compiled directly, but are a series of stages. Each file actually has a different build action. This is all the magic that happens under the hood to redirect values from the managed .NET to the underlying native library.